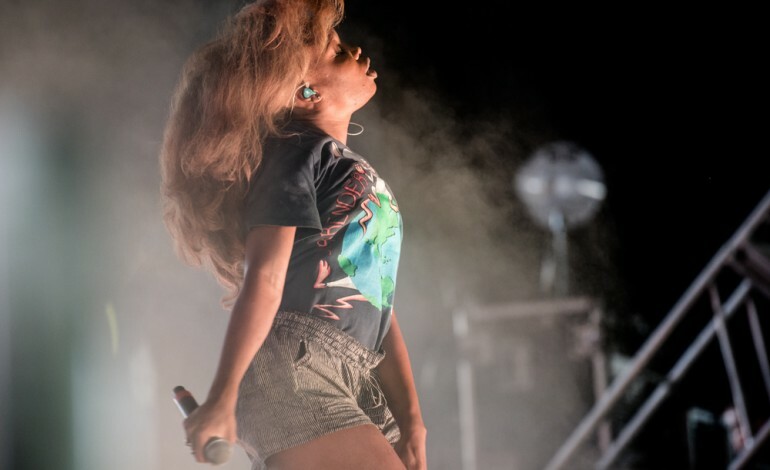 Midway through her set, after bringing out Isaiah Rashad and Trippie Redd,R&B sensation SZA offered up the second Kendrick Lamar appearance of the night. After K Dot performed with Vince Staples in his later afternoon set, he appeared with his TDE rostermate for a couple of songs – “Doves in the Wind” and “All The Stars.” The latter comes from the soundtrack to the mega hit Black Panther, one of the most successful movies in film history. Black Panther soundtrack had a fair amount of star power, from The Weeknd, Anderson. Paak, SOB x RBE, Schoolboy Q, Vince Staples and more, but SZA’s “All The Stars” was easily among the most undeniably great songs on the record. It remains to be seen, with The Weeknd up for a set tonight, whether Kendrick makes a third guest appearance at Coachella 2018.